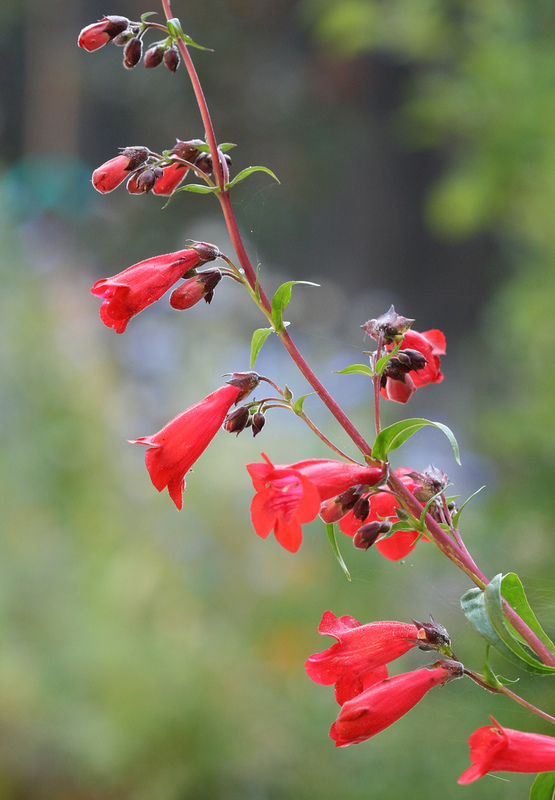 This month’s Garden Flowers post, which I write with Rona Wheeldon of Flowerona, features penstemon. This popular flowering plant grows best in full sun but is also very happy in light shade, and blooms in your garden from mid-late summer and often into October. Colours range from blue to pale pink, and white to deep purple. So there’s sure to be a colour to suit any planting scheme. 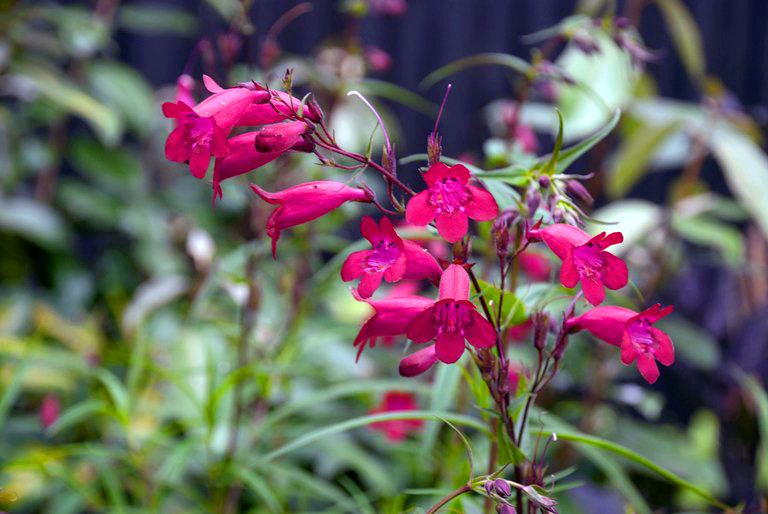 Penstemon ‘Garnet’, which is pictured below, is one of the best performers. Its deep pink flowers continue for months and eventually it matures into a large bushy clump. Another notable variety is Penstemon digitalis ‘Husker Red’ below which has deep purple foliage and tall spikes of pinkish white flowers. 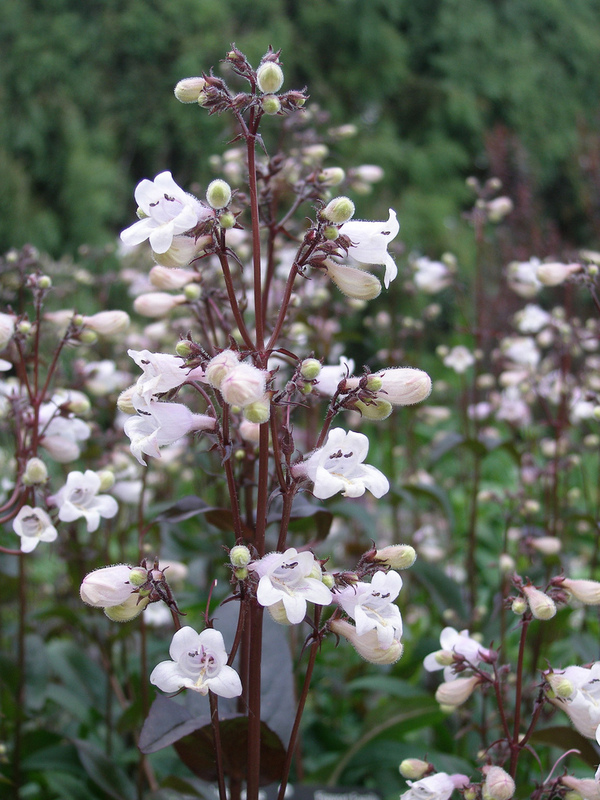 Penstemon ‘Alice Hindley’ which has large, pale-mauve, white-throated blooms. 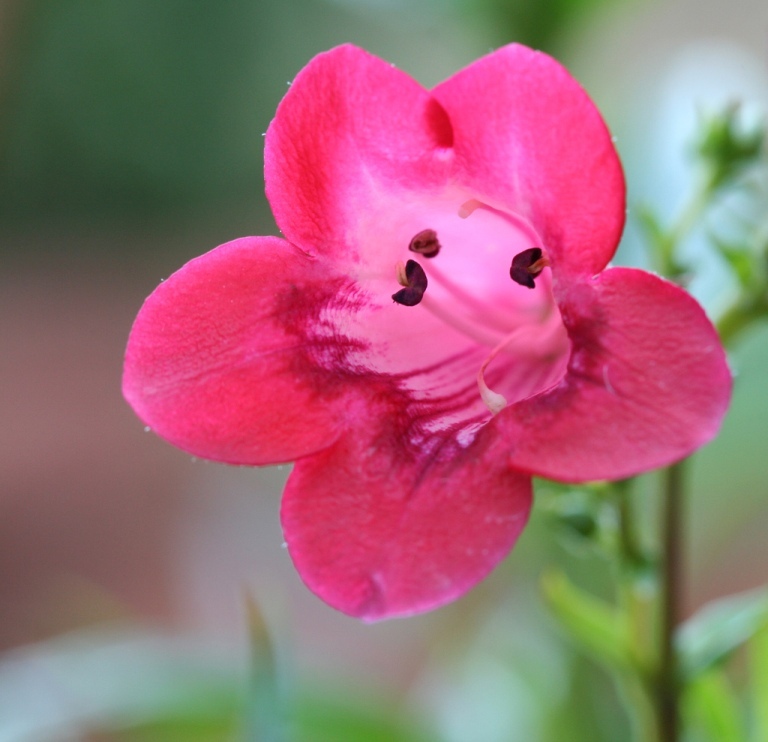 Penstemon ‘Osprey’ is great for a cottage garden look with its pink and white flowers. Penstemon ‘Stapleford Gem’ bears large, lilac blooms from mid-summer. Penstemon ‘Sour Grapes’ has unusual greyish-blue flowers, suffused with rich purple almost like mother of pearl. 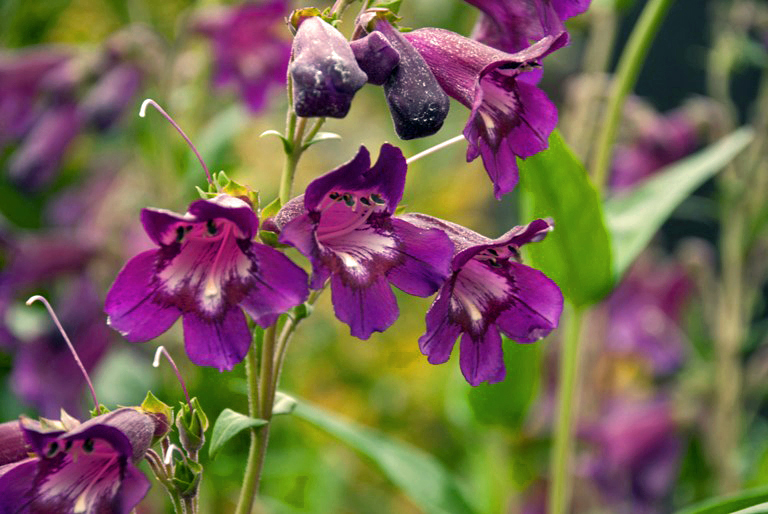 Penstemon ‘Raven’ has rich, sultry purple blooms set off by the white throat…see image below. 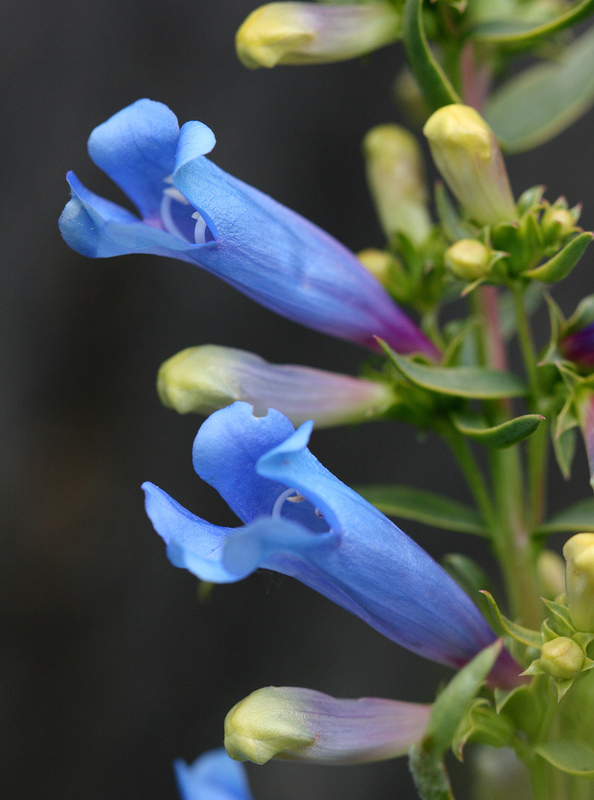 Penstemon are semi-evergreen perennials which means that in mild areas the foliage lasts through the winter. And deadheading to remove the spent flower spikes can really help to prolong the flowering season. Pruning should take place in spring otherwise they can become a bit leggy and untidy. 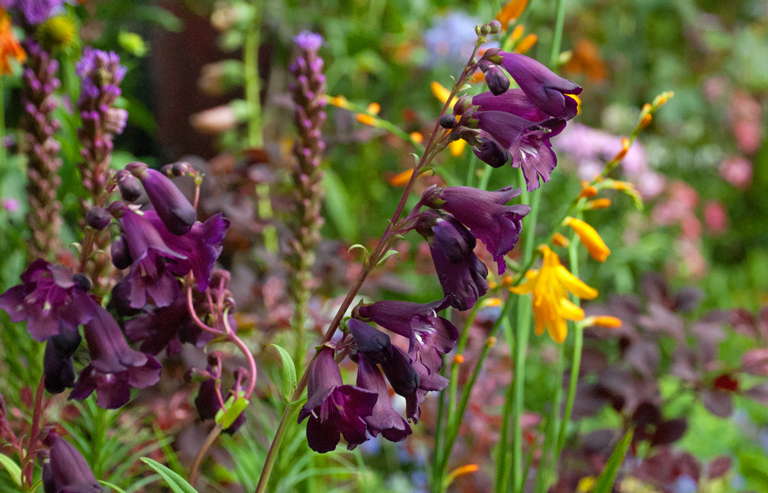 Penstemon are easy to grow and make great plants for a mixed border. The foliage is soft and feathery and the longevity of the flowers makes them a great choice for a small garden as they bring interest for several months. Although they like free-draining soil, it’s a good idea, when planting them to mix in some organic matter, such as compost or well rotted manure, to the soil to give them a good start. If you’re going to plant them this month, get them into the ground as soon as possible, so that they can put on some growth before the cold weather arrives.